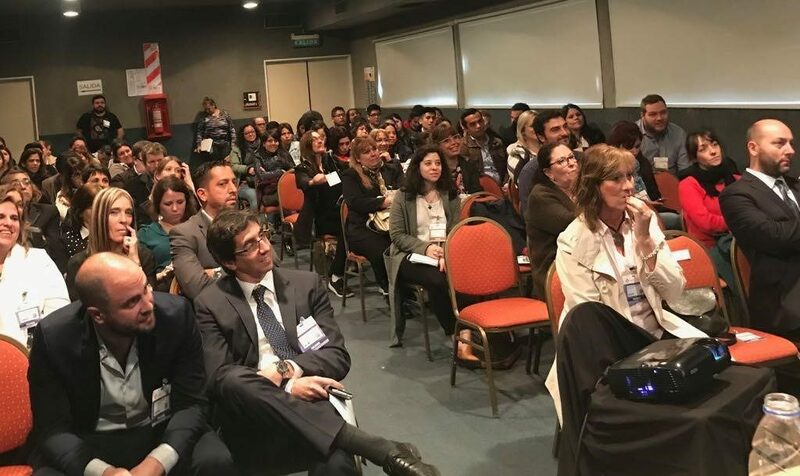 On 28 September, authorities of the Health Ministry of Buenos Aires organized their 10th health meeting. 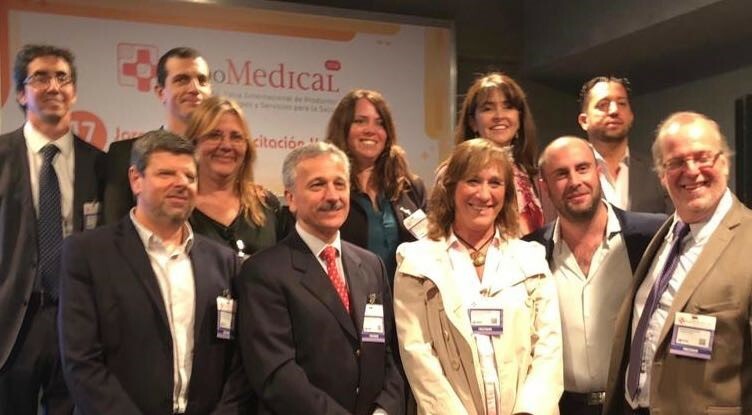 This year, the Health Ministry, the Argentine Society of Cardiology and the Argentine Foundation of Cardiology, both World Heart Federation members, analyzed the progress of the “25×25 Programme” in Argentina. Attendees included physicians, nurses, technicians, authorities and the general public. Dr. Gabriel Battistela, Sub-Secretary of Primary Ambulatory Attention of the Ministry, explained the importance of noncommunicable diseases. 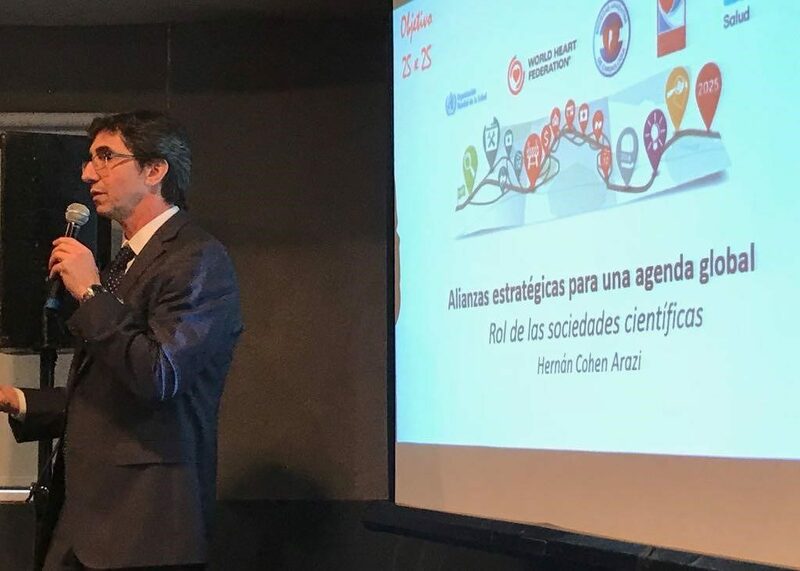 Dr. Cohen Arazi, coordinator of the 25×25 programme in the Argentine Society of Cardiology asked for the integration of efforts between scientific societies and governments, to surpass the barriers in achieving a 25% reduction of premature mortality by 2025. 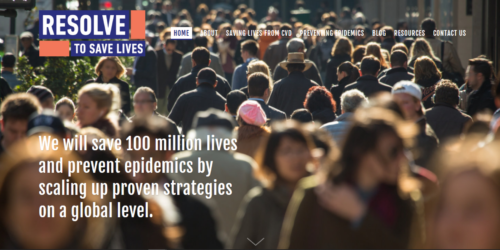 Dr. Laura Antonietti, Director of Research and Professional Development of the Ministry reiterated the urgency of the problem, showing that cardiovascular disease is the first cause of mortality in the city of Buenos Aires. Dr. Javier Mariani, Head of the Cruce Hospital School Programme, showed the epidemiology of cardiac diseases in Argentina, highlighting the specific burden within the low-income population. Miss Florencia Flex Marcó, remarked that one in 3 citizens in Buenos Aires die due to cardiovascular causes, 46% are obese, 43% are sedentary and 60% eat no fruit. Together with Miss Liliana Gonzalez and Dr Battistela, she explained the actions the Ministry is implementing to improve this situation. Dr. Martín Koretzky (Hospital Santa Maria de la Salud) and Dr. Darío Igolkinof explained the programme that the Argentine Society and Argentine Foundation of Cardiology are driving to educate physicians and the population to reverse the negative tendency in hypertension and dyslipidemia. Finally, Dr Federico Blanco, intervention cardiologist; Dr Federico Etchenique, Medical Coordinator of the Emergency System in Buenos Aires; and Dr Juan Gagliardi, Medical Director of the Cardiology Department of the Argerich Hospital, showed the statistics and the programme they are running to improve the mortality from myocardial infarction. The meeting finished with everyone committing to work together to strengthen action to achieve the 25×25 objectives.